People needing vitamin D to maintain strong bones will struggle to sustain healthy levels if plans to withdraw maintenance doses under new NHS spending cuts go ahead, the National Osteoporosis Society has warned. 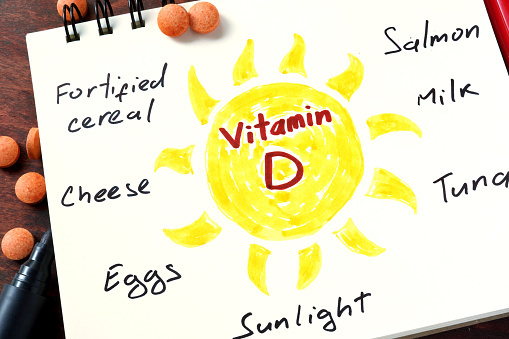 In a response to an NHS England public consultation, the charity has raised concerns that the proposed cut to vitamins, minerals and probiotics would adversely affect people needing to maintain levels of vitamin D in order to protect their bones and guard against osteoporosis. The charity believes that groups at high-risk of vitamin D deficiency - people with darker skin; people who are frail, housebound or living in a care home; or those that usually wear clothes that cover up most of their skin when outdoors - would be particularly at risk because they cannot produce the vitamin through the usual route of exposure to sunshine. Responding to the consultation, the charity’s Clinical Director Fizz Thompson said it was “concerning” that maintenance doses of vitamin D would no longer be prescribed in primary care if the proposed changes were pushed through. Clinicians should be given the freedom to prescribe appropriately to take into account patients individual circumstances and use NICE guidance where available and relevant. This is very much the case with people living long-term with osteoporosis and at high fracture risk and vitamin D deficiency,” she added. The National Osteoporosis Society is currently working with experts, stakeholders and parliamentarians to highlight the important role vitamin D plays in the nation’s bone health and to drive forward agreement on the best way for people to get the recommended levels of 10 micrograms a day.